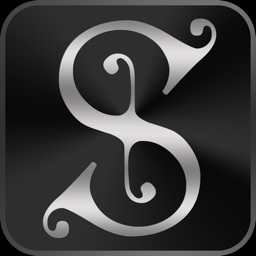 Poet's Pad contains powerful idea generating tools that are designed to inspire creative expression and eliminate writer's block. Writing poetry will never be the same. Featured by Apple as "New and Noteworthy"
Can't find the right word or phrase? 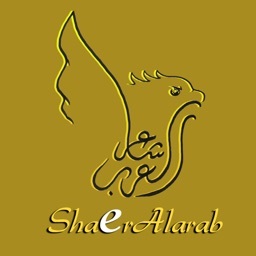 Running low on inspiration? 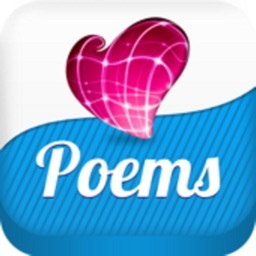 Then Poet's Pad™ is the app for you. 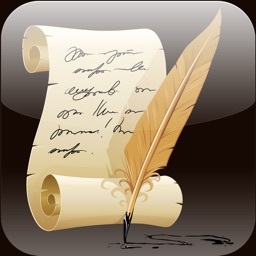 It is the ultimate writer's tool for the iPad. 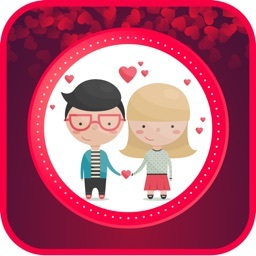 Feeling happy, angry, silly or over the top in love? 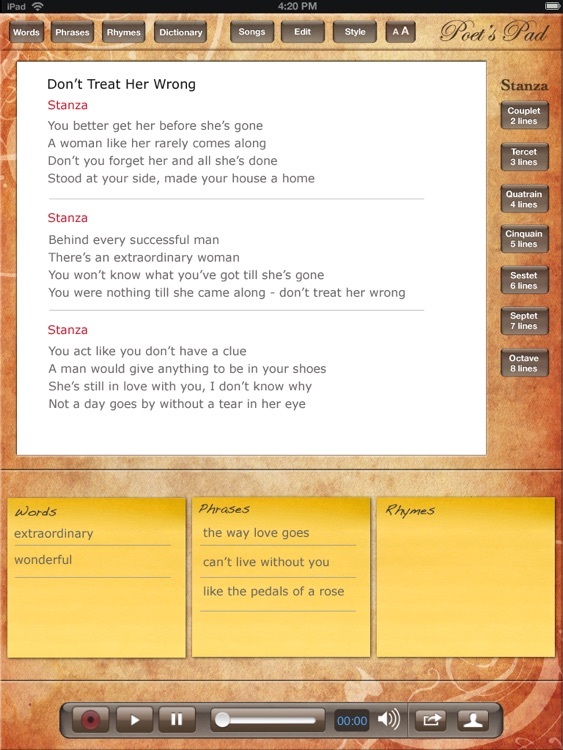 Generate words and phrases that reflect your mood and post them on sticky notes for later use in your poem. 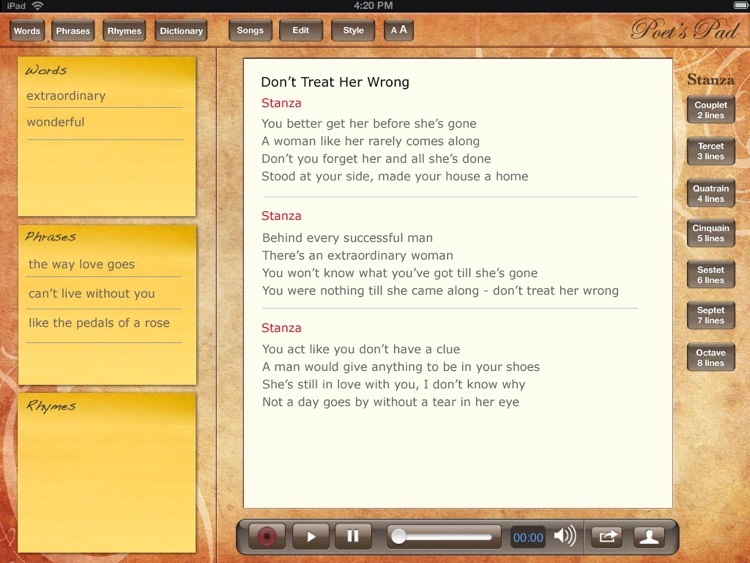 To practice, record and perfect your storytelling skills, tap 'Record' on the built in audio player and let it rip. Capture vocal ideas anytime inspiration strikes and save it with your writings. 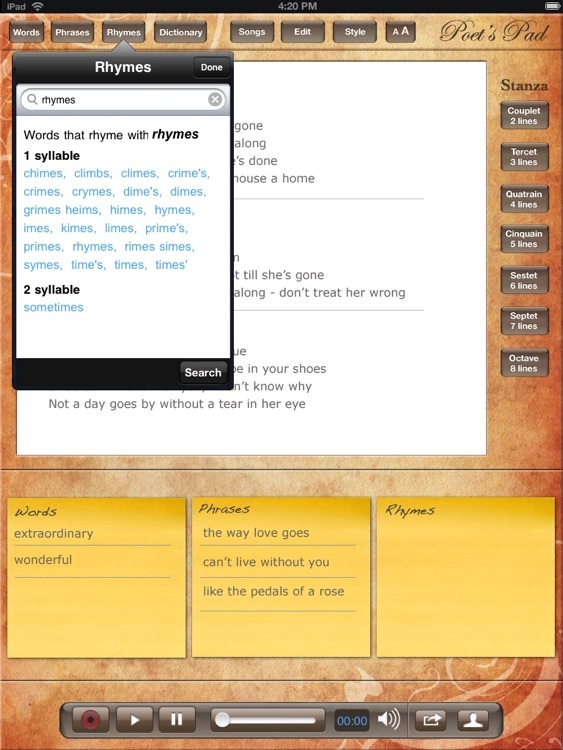 Now you can create and store all of your writings and poetic ideas in one place. Easily export poems as text documents and audio recordings via e-mail. 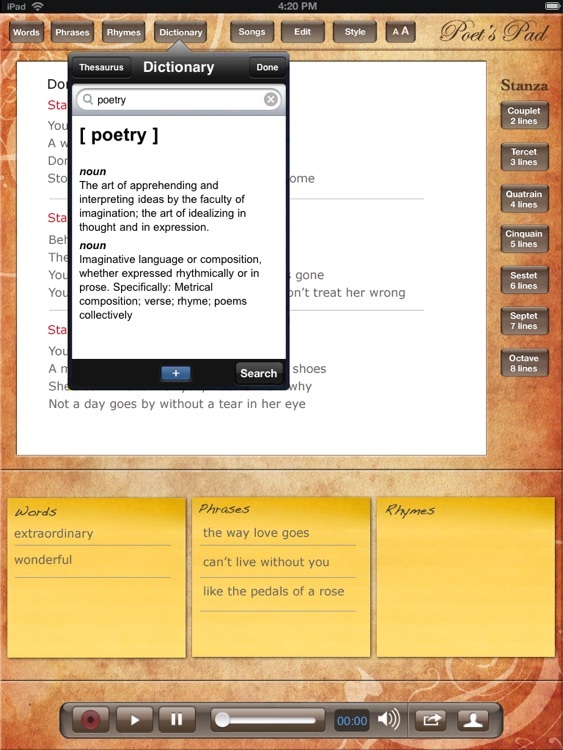 Poet's Pad™ is an invaluable creative tool for the creative writer. 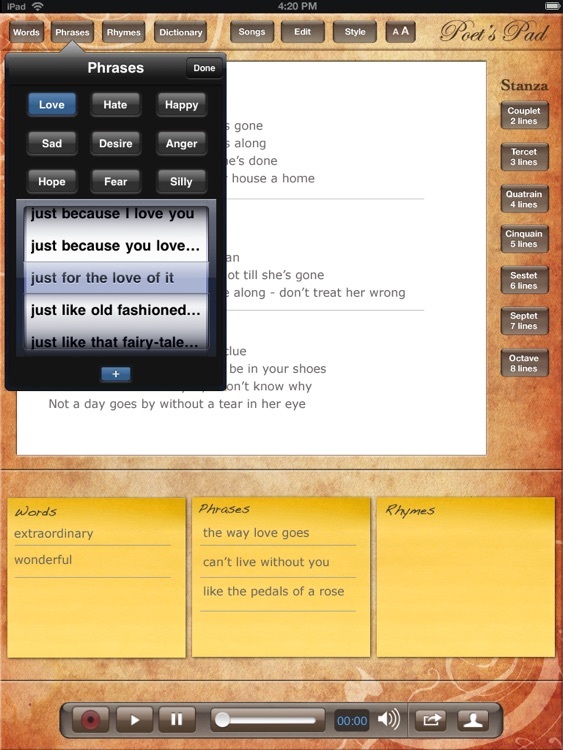 Everything a poet needs is now available for the iPad in one easy to use app. If you have less than an excellent experience using Poets Pad™, before you give it a bad rating please email us and we'll do our best to correct the issue in a timely manner.